We had a great weekend here in Phnom Penh. For some reason things started out a bit slow Sunday morning and it seemed like our attendance was going to be down. Then at the last minute people began showing up to the point where there were folks sitting in the overflow section. 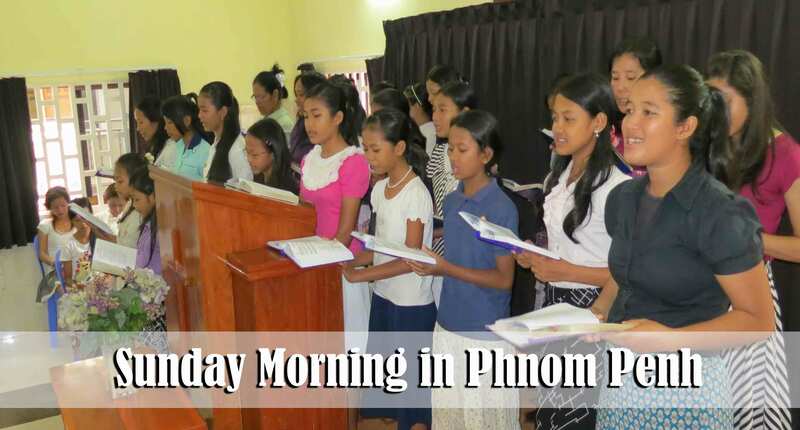 Some of the ladies and teen girls sang a special hymn in Khmer and the English group sang the song “The Value of One.” It was great to have adult visitors in both the morning and evening services. Four weeks ago we began taking a group of folks each Sunday afternoon to hand out tracts and speak with people on the north side of town. We have found some of the neighborhoods to be somewhat receptive and others to be quite hardened to the message of salvation. Debbie and I also go to that part of town on Saturdays and try to meet new people. Two weeks ago we met Rita (19 years old) and her grandmother, Soka. 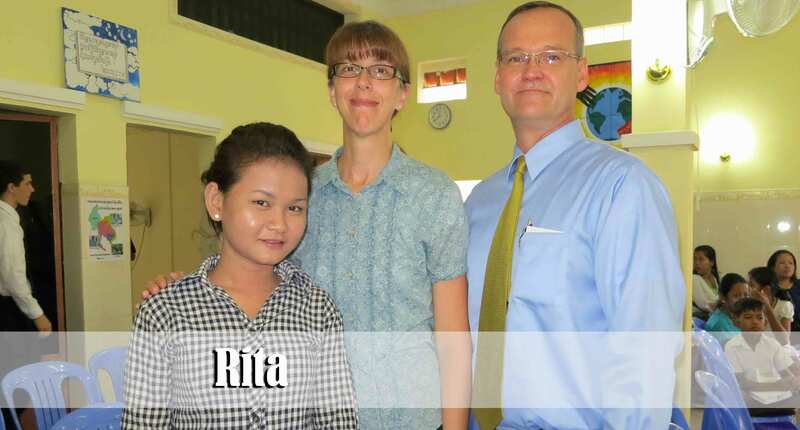 We are happy that Rita has come to church for the past two weeks. Her grandmother has actually encouraged her to attend our church so she can “know God.” The grandmother has apparently had some contact with Christians in another part of the country but seems to be very confused about what it means to be a Christian. Though she claims to be saved, it is evident that she still depends upon help from the “territorial spirits” and from false religion. It is quite common for folks here to attempt to synchronize faith in Jesus Christ with pagan religion and culture when they don’t fully understand the gospel. This is why it is so important to be thorough when presenting the plan of salvation especially when you are witnessing to people who hold to a worldview that is totally foreign to the truth of God’s Word. This past Sunday morning I continued in a sermon series from the book of Mark. We contrasted the dead and legalistic religion of the Pharisees with the life-giving and liberating faith in the Lord Jesus Christ. During one of my illustrations I held up a picture of an 80 year old Hmong lady who recently accepted Christ with a missionary team sent from our home church who are serving in northern Thailand. In the picture you can see her cutting off the spirit strings from her ankles. Soka and Rita both seem to place quite a bit of trust in their altars and spirit strings as well. After the message this past Sunday, Rita raised her hand during the invitation indicating that she knows she is lost. Please pray that the door will remain open for us to teach her and that she will soon be saved. She brought her 20 year old friend, Srey Srahs, to church with her this past Sunday as well. Both of these young ladies told me that they have never heard anything like what I was preaching but that they were thinking about what they had heard. Bro. Adrian has been witnessing to 12 year old Alex for several weeks and it was a joy to see him recently trust Christ as his personal Saviour. 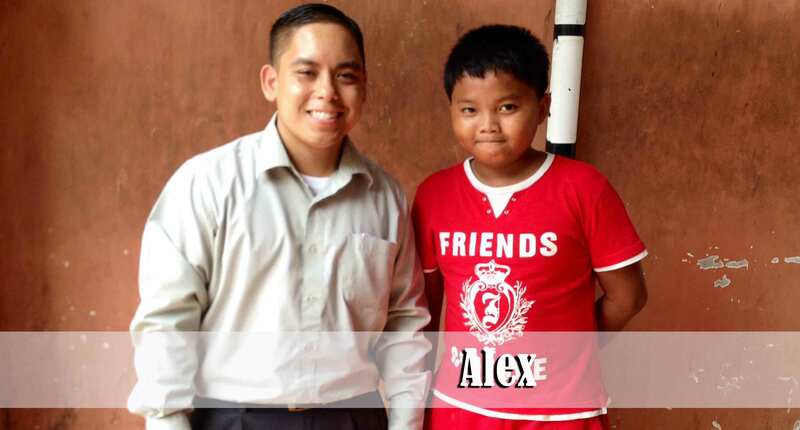 Alex seems to have a hunger to learn and grow and it is great to see him getting involved in the ministries of the church. Bro. Vannak and several other workers have been witnessing to 68 year old Mr. Chun for many months. Mr. Chun had previously had some exposure to Christianity by some type of Protestant group who went to his village for a short time. As our folks have been witnessing to him, he came to understand that Jesus Christ is not a religion or a denomination but rather the one and only Saviour and came under conviction that he was lost and needed to be saved. It is a blessing to report to you that he did recently accept Christ as his Saviour. 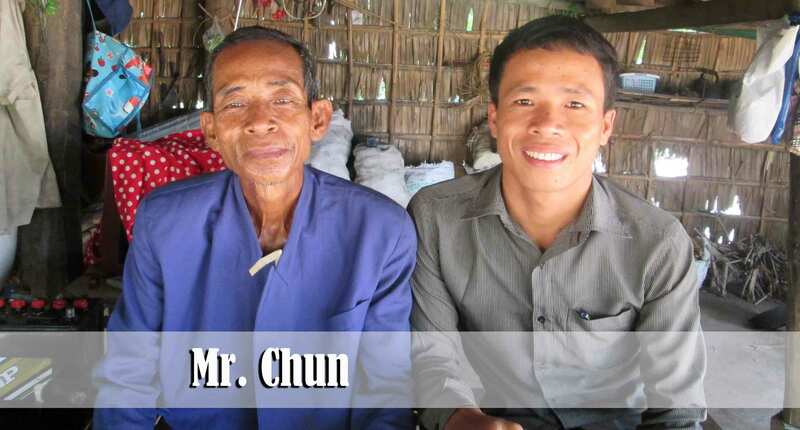 Mr. Chun holds some influence in his village as he is one of the oldest members of the village. Pray that as he grows in the Lord he will be able to use his influence to bring others to Christ. Every Saturday evening after our men’s discipleship group is done meeting at about 7:00 these folks clean the building. Their job is very important and they do it with joy in their hearts and a smile on their face! This past Saturday Debbie made them brownies and cookies to express our thanks for their service to the Lord and the church. Thank God for faithful people who are willing to serve behind the scenes! There seems to be a increase in our part of town of beggar children. We took this photo well after dark and in the middle of heavy traffic. How sad it is to see young girls like this one with her younger sibling out begging for money. Perhaps the saddest part is the fact that she likely does not get to keep the majority of the money she is able to gather. It is very common for young children like this to be compelled to beg by older members of their family who, in many cases, spend the majority of their time drinking and gambling away the money the children are able to collect. 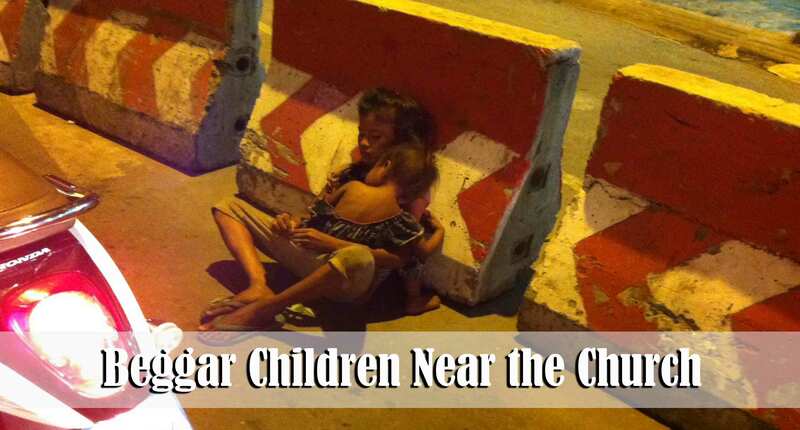 We often see children who appear to be as young as 3 or 4 years old walking by themselves in traffic begging for money. Recent attempts have been made by the authorities to gather these people up and bus them far away from the city only to have them return within a few days. We know that the gospel is the only hope these folks have and until their parents know the Lord and make necessary changes in their home life these children will likely continue to be used as pawns to support sinful lifestyles. Thank you for your investment of prayer and giving that enables the hope of the gospel to come to places like this. 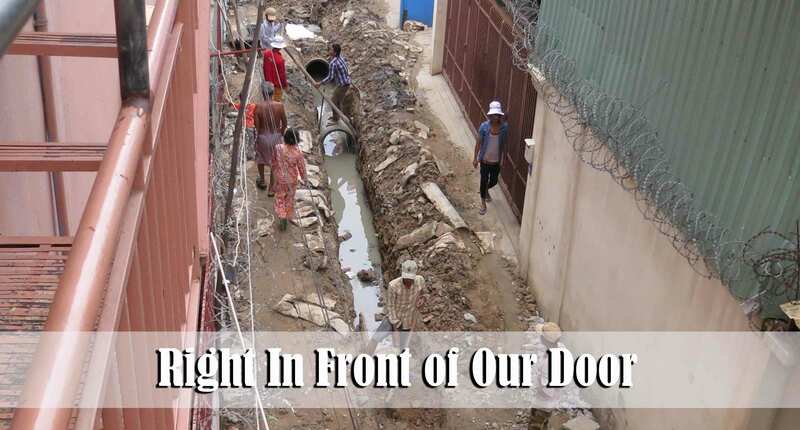 The street that runs along side our building is totally torn up this week as they are putting in a new sewer line. Nearly every time it rains hard our street floods. Hopefully this new line will help. It has been a bit entertaining the past few days to hear the neighbors out in the street arguing with the construction workers over how they are doing their job. Very encouraging! Keep up the great work for the Lord! God bless your family!